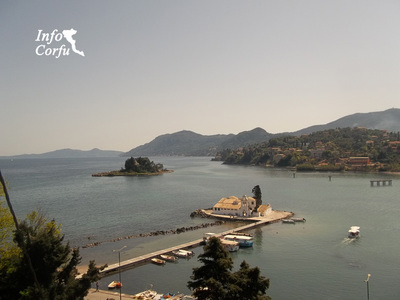 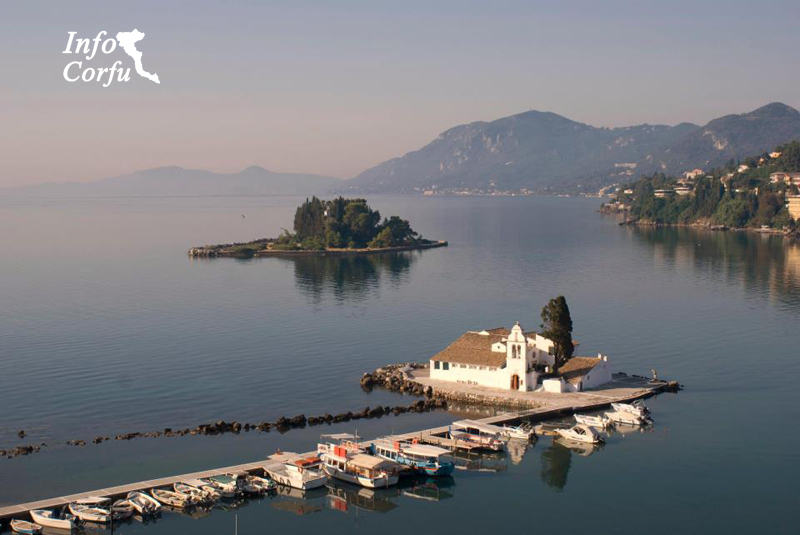 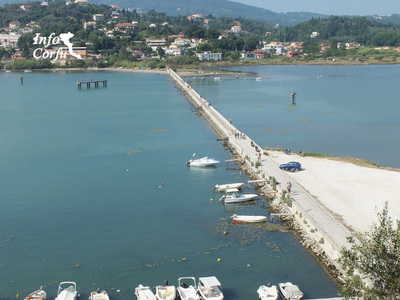 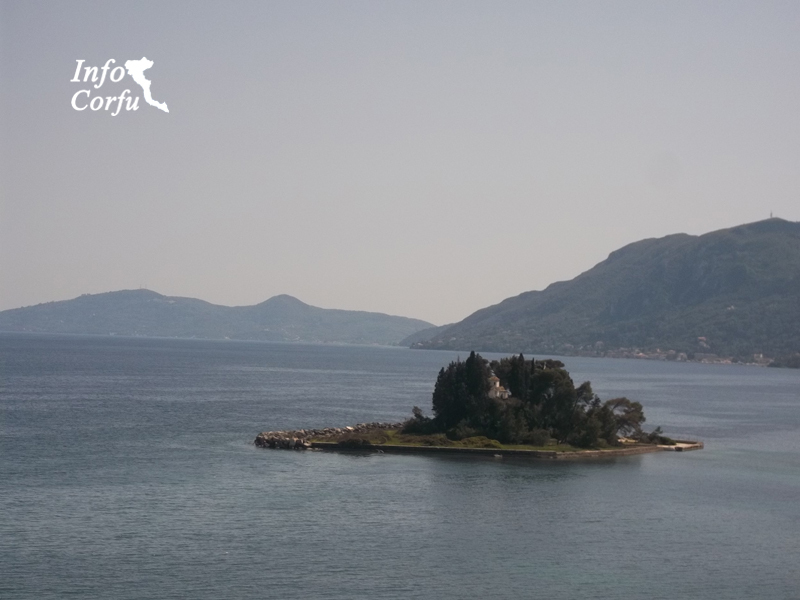 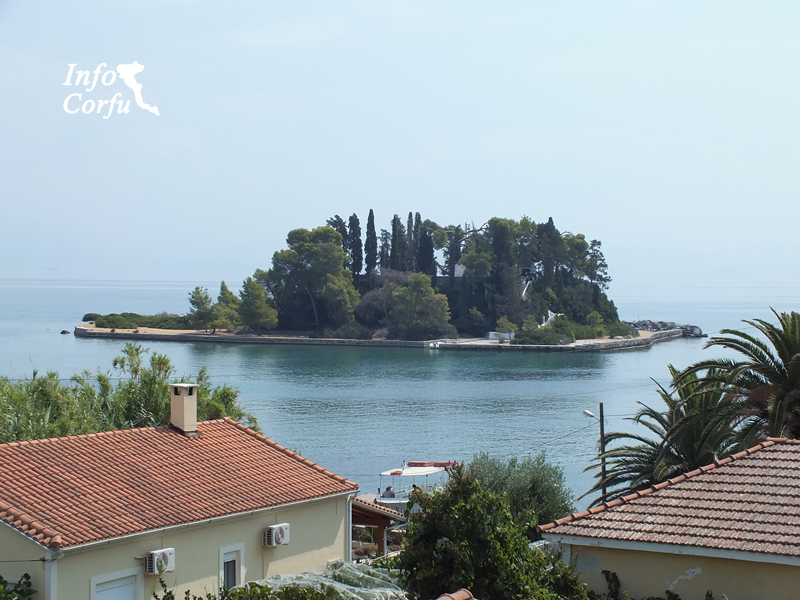 The Pontikonisi (Mouse island) is one of the most famous sights of Corfu. You can enjoy it by going up to Kanoni. 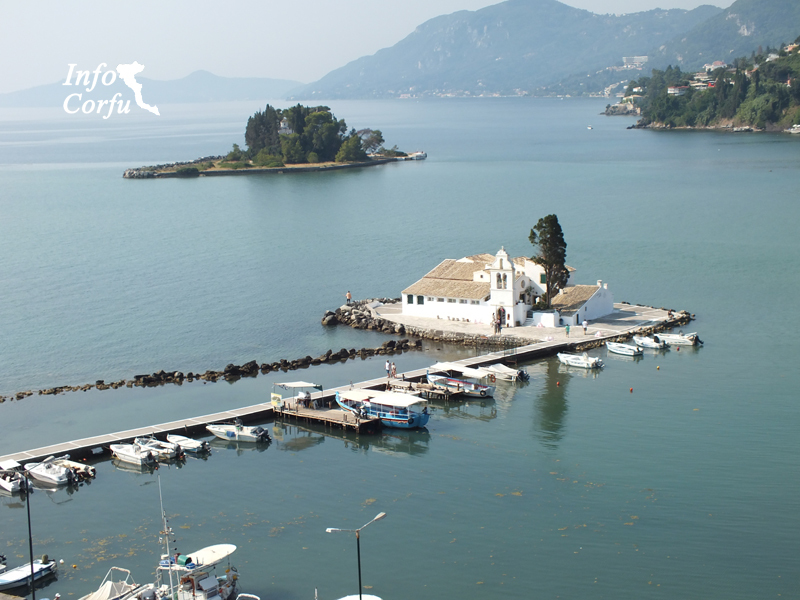 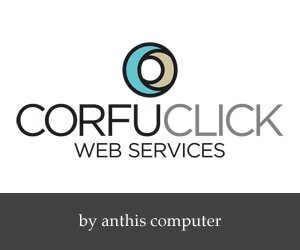 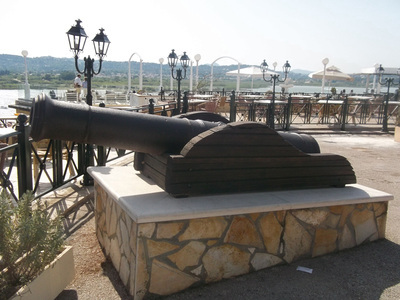 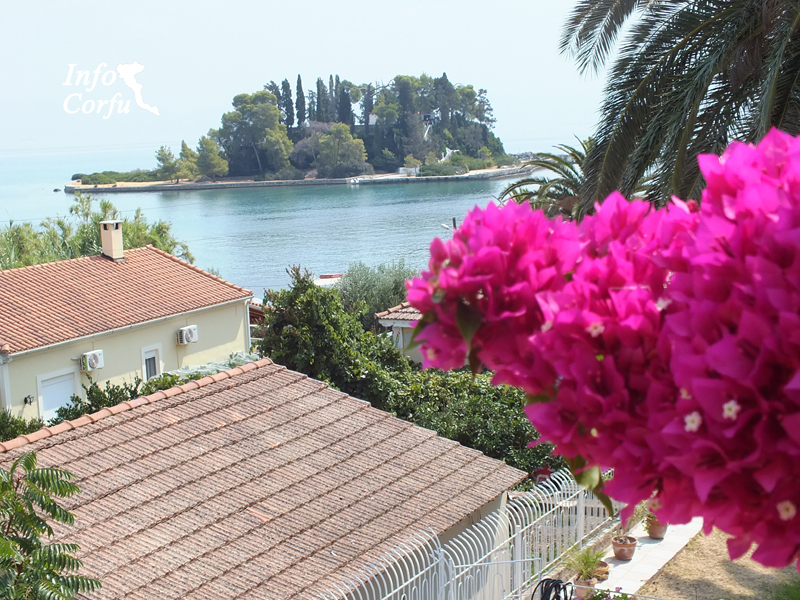 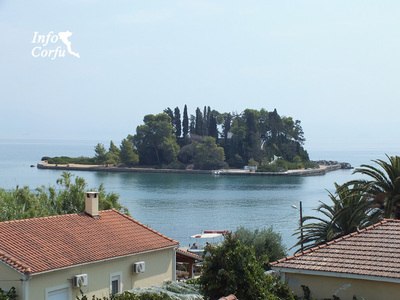 There are cafes with magnificent views of Pontikonisi, the church Vlaherna and to Corfu Airport. 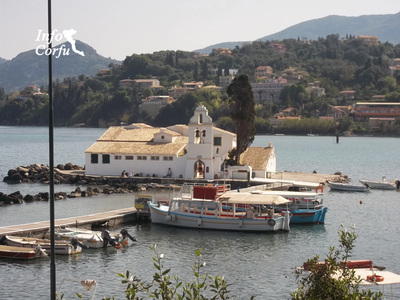 If you want to visit the church by car, just before you reach Kanoni should follow the right fork and it will lead you to the picturesque harbor. 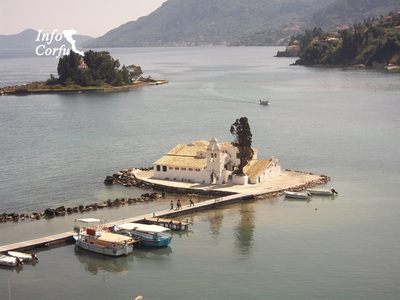 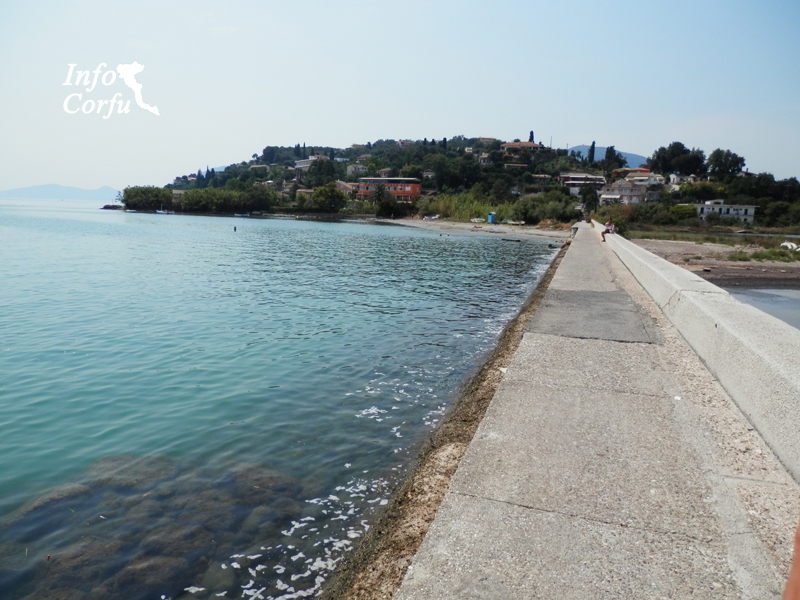 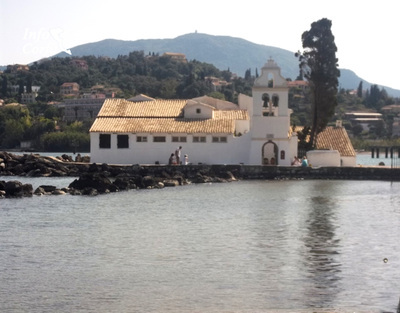 There you can take the boat to Pontikonisi or walking on the narrow pier you can visit the church of Vlacherna.